A sustainable holiday this season could mean that generations to come start new energy-and resource-saving traditions. The holidays are moments spent with family and loved ones; however, a lot of wasted energy, electricity, packaging, and food gets spent as well. 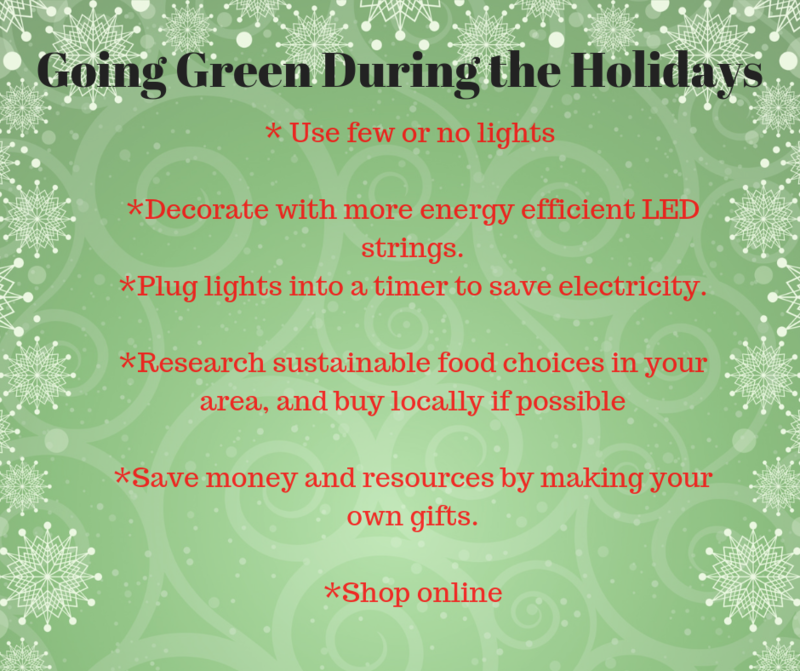 Since there is so much excess during the holidays, going green may not be the worst idea this year. According to the CDC, Thanksgiving through New Year’s Eve brings in about 25 percent more trash. In fact, when comparing the amount of wasted paper materials, enough paper to cover 45,000 football fields could be saved if all American families wrapped three gifts in reused materials. Sustainability is about using the environment’s resources responsibly and mindfully in order to protect and maintain the environment. The CDC provides several tips to consider when preparing for the holiday season. From Christmas trees to ornaments and lights, decorations are a huge component. The CDC suggests decorating with energy-efficient and durable items such as artificial trees or disposing of living trees at a chipping facility. The goal is to think as eco-friendly as possible. Although lights light up the holiday time, conserving maximum electricity and energy is more efficient. Jillyan Gillard is a senior majoring in journalism.